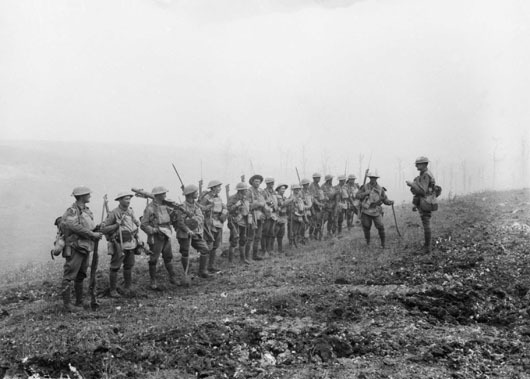 Setting out at 5.30 am from positions south of the River Somme and east of Villers-Bretonneux and Le Hamel, the Australian troops were quick to accomplish all of their objectives. The element of surprise was maintained throughout the build-up across the entire front, and was so great that many Germans were captured while still eating breakfast. 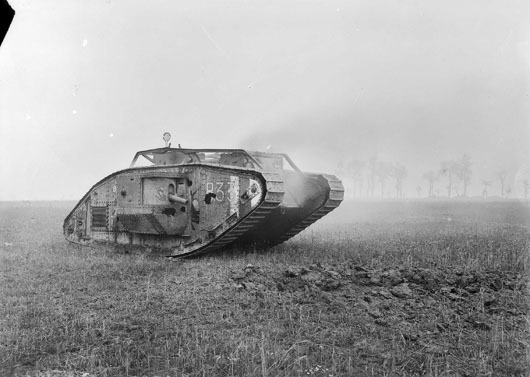 Amiens was also one of the first major battles where tanks were successfully deployed supporting the infantry. 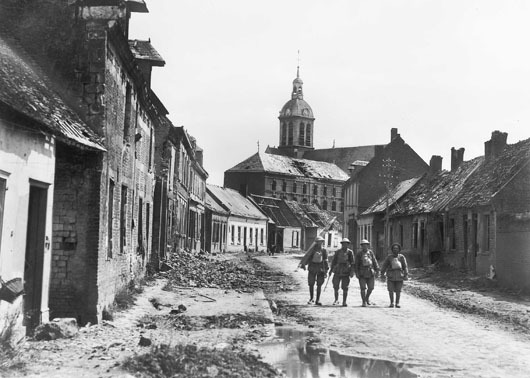 Following Amiens, fighting became more mobile, accelerating up until the armistice was signed on 11 November 1918. Men of B Company, 29th Battalion, receive an address from their Lieutenant prior to their advance on Harbonnieres (AWM E02790). A group of stretcher bearers make their way through the village of Harbonnieres following its capture by Australian troops (AWM E02845). 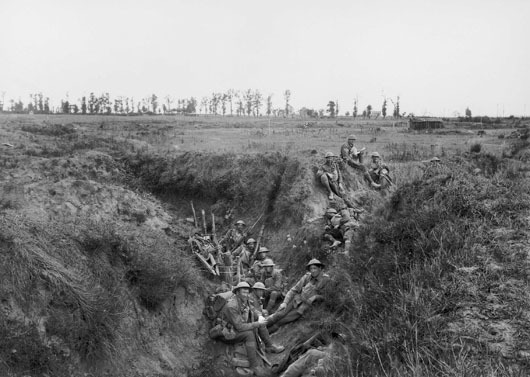 Members of 6th Battalion AIF resting in an old trench during their advance towards Lihons (AWM E02866). 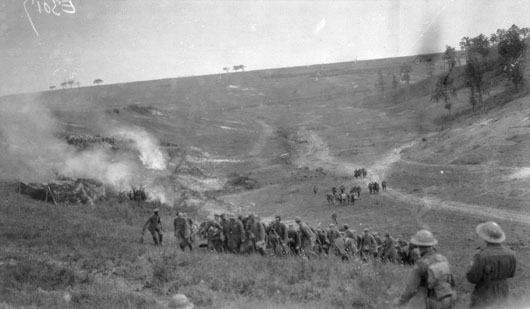 Captured German soldiers rush past Susan Wood, under fire from their own artillery (AWM E03017). A British heavy tank, put out of action near Bayonvillers by a direct hit at point blank range (AWM E03891). 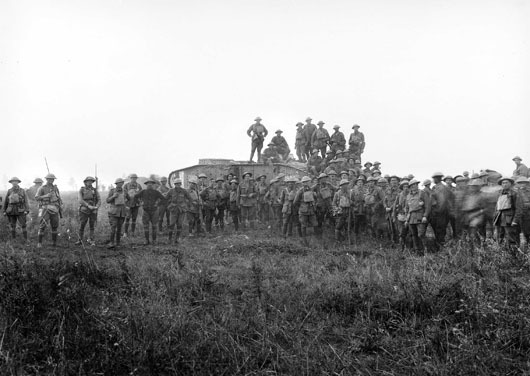 A tank crew and members of the 5th Australian Infantry Brigade with a British Mark V tank (AWM E04922).